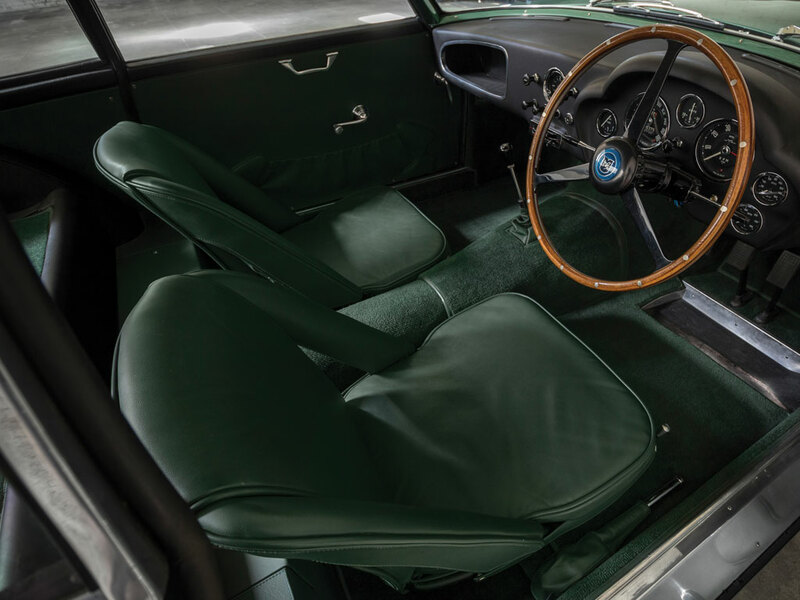 Since the early 1940's SMITHS instruments have featured in the iconic Aston Martin, the likes of which include the DBS, DB4 Zagato and of course the famous DB5 as driven by James Bond. 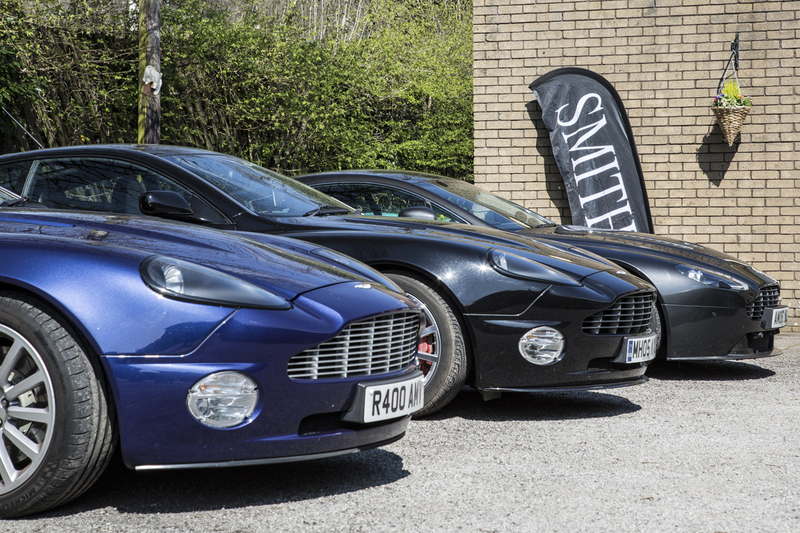 CAI's roots stem from the SMITHS Motor Accessories business and we are proud to continue this relationship today, supplying not only heritage marques but also resurrected models such as the DB4GT. 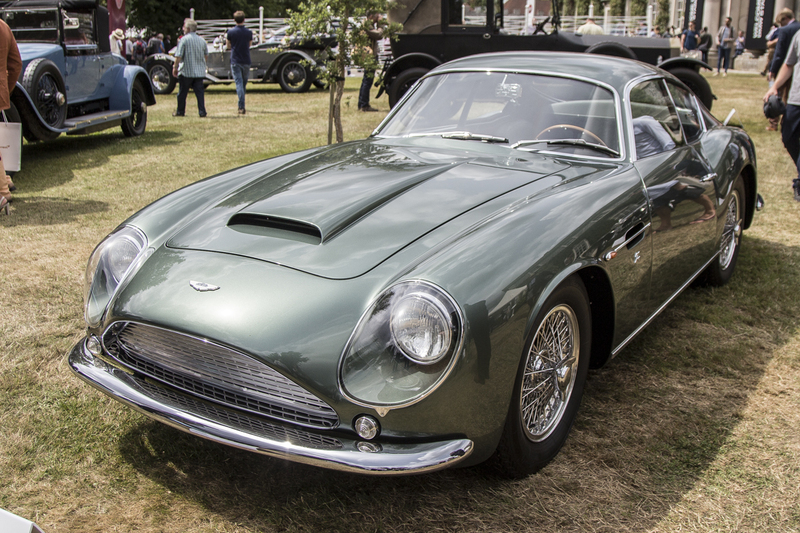 The DB4 GT was a special lightweight, high-performance version of the DB4. Introduced in September 1959, it featured a thinner aluminium skin for lighter weight and maximum speeds of 151 mph with a 6.1 second sprint to 60 mph. It was the fastest road legal production car of its time. A total of seventy-five GTs were built. 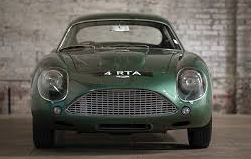 In 2016 Aston Martin Works announced that a further twenty-five track-only cars based on the 1959 lightweight specification would be manufactured at its Newport Pagnell plant. When Aston Martin approached CAI to re-design and manufacture the gauges for the DB4GT we were more than thrilled to accept the challenge. Having the original schedules and drawings from the very first gauges held in our archives meant we were able to re-produce the instruments using modern technologies whilst retaining their authenticity. 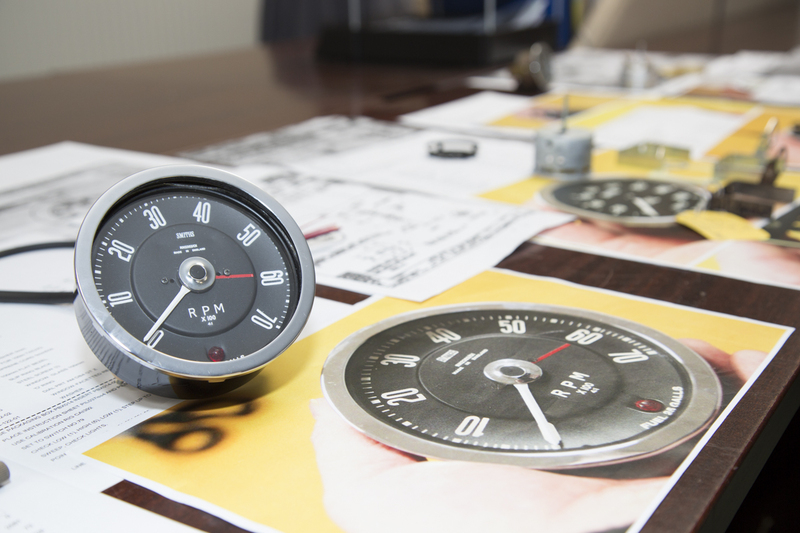 The mechanical Speedometer (illustrated on the left) was re-modelled in both the MPH (0-180) and KPH (0-300) variant and features a 100mm flat chrome bezel, black dial, white print and pointer and remote trip. Warning lights include high beam and oil. The SMITHS logo is featured on both gauge variants. 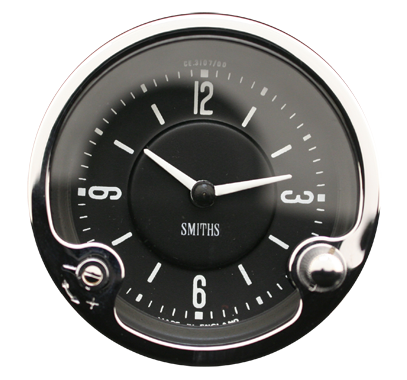 The matching Tachometer, also 100mm black dial with flat chrome bezel and white print also features a low fuel warning light. 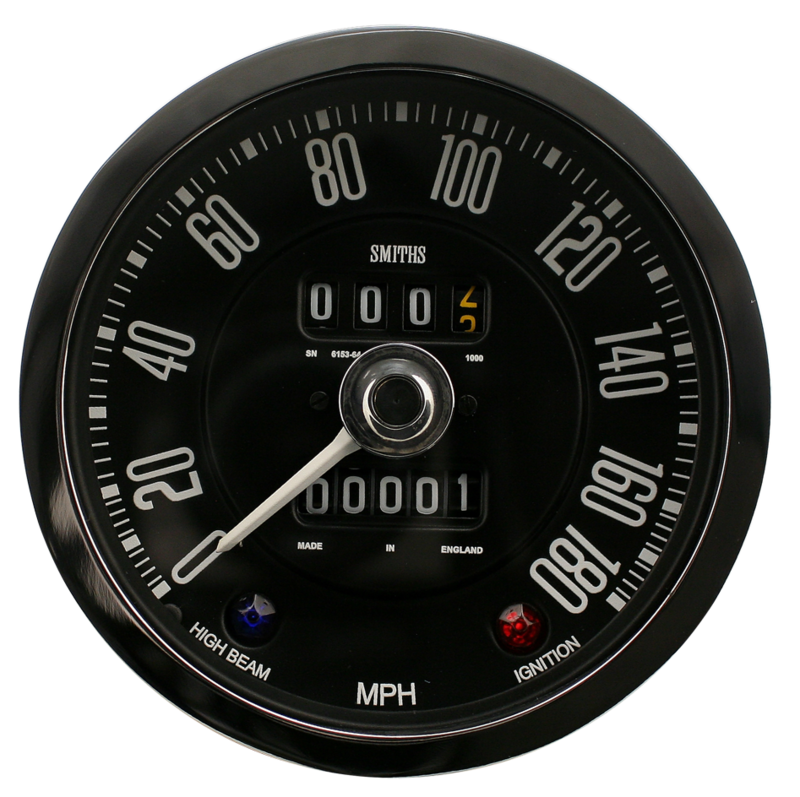 Both have been hand built to look aesthetically like the original gauges with modern features. CAI are also proud to continue to manufacture and supply Aston Martin heritage, time clock gauges for the legendary DB5 as driven by James bond himself! The Aston Martin DB5 holds a special place in motoring history and is one of the most desired classic two-door sports cars in the world. 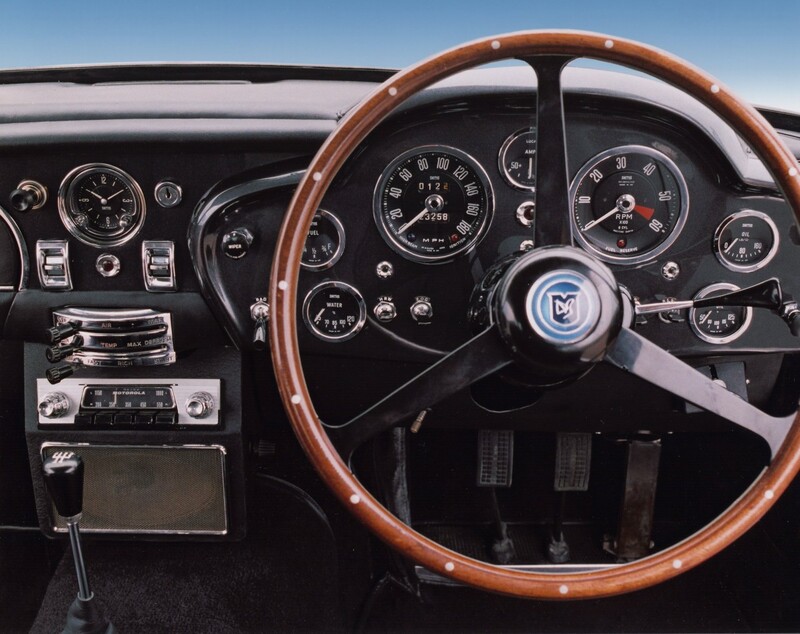 It is fantastic to see the dashboard full of SMITHS instrumentation and for us to be a part of that history.